What are the Best UMiDigi Smartphones in 2019? Are UMiDigi Smartphone reliable? If you haven’t heard of UMiDigi by now, then you’re missing out! Their smartphones are only getting better! 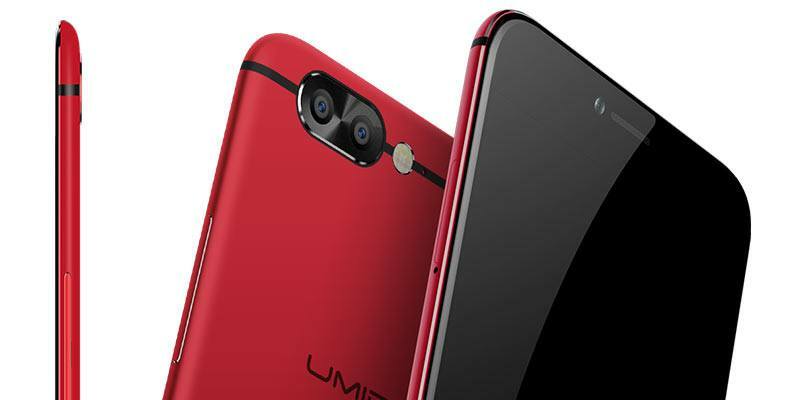 In recent months UMiDigi has ramped up their marketing efforts, releasing 3 new mid-to-high-end smartphones and are now edging ever closer to becoming a mainstream mobile brand. Based out of Shenzhen (South-Eastern China), UMiDigi has been manufacturing smartphones since around 2012 (think back to the UMi X1) all the way to recent successes like last year’s awesome UMiDigi Z1 Pro Smartphone which highlighted the value UMiDigi offers. 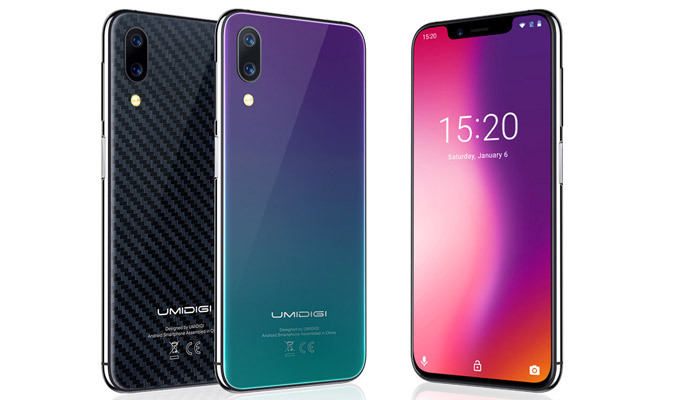 Well now it’s 2019, UMi has rebranded to UMiDigi and is showing no signs of slowing down. For a relatively small mobile manufacturer (when compared to the big dogs of mobile: OnePlus, Huawei, LG, Samsung & Apple), UMiDigi likes to think big. Their mobile strategy is to consult their loyal users (and the tech community) about which features are most important and then include them in their next smartphone. Having had my hands-on more than a few UMiDigi smartphones, I’ve put together this ‘Best of UMiDigi Guide‘ to help you decide if there’s an UMiDigi smartphone with your name on it! Here are the Best UMiDigi Smartphones you can get your hands on in 2019! The Z2 Pro is UMiDigi’s 2019 flagship smartphone that’s rocking the Helio P60 CPU, 6GB’s of RAM and a whopping 128GB’s of Storage with the option of adding up to 256GB’s more. The 6.2″ FHD+ display offers us an impressive PPI of 403, while including reading mode and colour tone adjustments. But things start to get really exciting when we take a look at the 90%+ screen-to-body ratio. The notch on the Z2 Pro isn’t the smallest, but who cares when the Z2 Pro measures in at 8.2mm thickness and weighs only 165 grams. For a 6.2″ smartphone, these stats are impressive! Finally, the icing on the cake is the Wireless Charging, a reasonable 3550mAh battery, AC Dual Band WiFi, NFC, plenty of sensors and the quad camera setup. The quad camera setup uses 16MP + 8MP lens for both the front and back letting you take your Bokeh to the next level! The rear camera boasts a f/1.7 aperture for better low-light photos, but it’s the Sony IMX371 16MP lens on the selfie camera that gives the Z2 UMiDigi Flagship Status! The difference between the UMiDigi One & the UMiDigi One Pro is subtle. On the outside, they look like beautiful iPhone clones, but inside there are a few small differences. 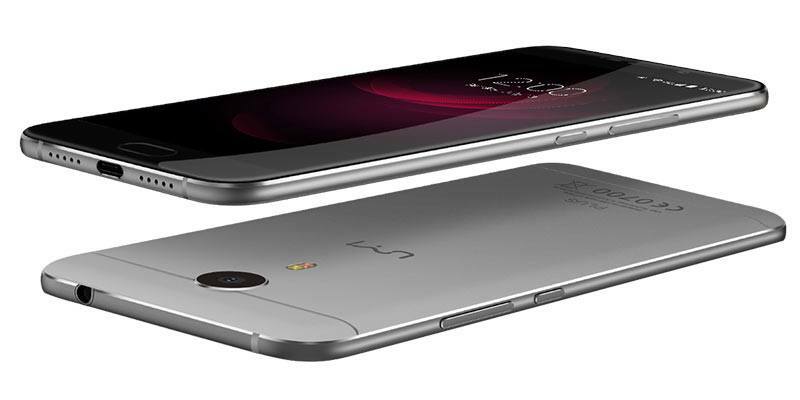 The One Pro has double the storage at 64GB, and comes with NFC + Wireless Charging. Apart from this, both the One & One Pro are identical. But with a hefty price difference between the two, you have to ask yourself whether you really need the NFC & Wireless Charging? As for storage, that’s what SD Cards are for although if you’re planning on going dual-SIM, the memory card will be sacrificed. The 5.9″ display on the UMiDigi One comes in at HD+ giving it a PPI of 287. The notched display combined with the 8.2mm metal body looks and feels fantastic. Then consider it only weighs 180 grams and we’ve got ourselves another great UMiDigi smartphone. Even at the low price-point of the UMiDigi One, we’re still treated to a MediaTek Helio P23 processor. This processor has swamped the smartphone market in late 2018 thanks to its power-efficient 8 cores that offer great entry-level performance. There’s got to be a catch right? Well the camera performance isn’t the best and we’re missing AC high-speed WiFi. Plus you might not like the side-facing fingerprint reader, although we’re fans! While the UMiDigi One offers the best value phone, let’s not forget the super affordable UMiDigi A3 and A3 Pro that keep the same good looks but with a few less features. 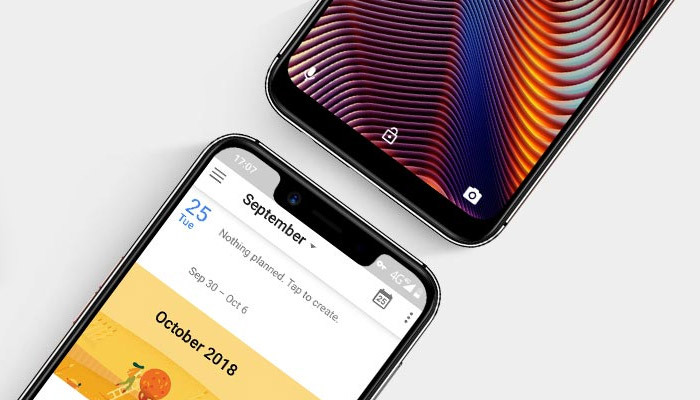 Available in both a notch’d (A3 Pro) and a standard version (A3), they both use a glass sandwich (front & back) design that’s usually reserved for the high-end. Powered by either 2GB or 3GB of RAM and both have a dedicated micro-sd card slot capable of taking cards up to 256GB, making storage a non-issue. To make these phones as affordable as possible, UMiDigi has opted for a quad-core entry level CPU. Where they haven’t compromised is on the connectivity as both the A3 & A3 Pro come with dual-band 5GHz WiFi, a rear-facing fingerprint reader and LED notification. If your budget won’t stretch to the ‘UMiDigi One’, or if you’re looking for a low-cost smartphone, the A3 & A3 Pro are both great options. While UMiDigi is pushing its newer Z1 Pro to be the 2017 flagship, it just can’t compete against the RAW Power of the UMiDigi ‘Z’ Pro with it’s powerful Helio X27 CPU. The 4GB of RAM is more than enough and the Z Pro also features a higher megapixel rear dual-lens setup (13MP + 13MP). Even the selfie camera comes with 13 megapixels to catch your beautiful mug in all its glory. If you don’t need all the extra power and enhanced photography setup then you might be tempted by the Z1 Pro below. It features an AMOLED screen and is thinner & lighter. It’s really down to design, power and camera needs when choosing between the two. You might be wondering what the difference is between the Z and the Z Pro? It’s all down to the camera setup. The UMiDigi Z Pro features a dual-lens setup on the rear and uses higher spec Sony lens. No matter which model you choose, you’re getting a flagship processor and high-end specs inside a phone that costs half the price of the big brand competition. Tech Specs: 5.5″ SHARP IZGO 1080×1920, Dragontrail Glass, 401 PPI, 10-Core Helio X27 CPU, 4GB RAM, 32GB Storage (expandable 256GB), Android 7, Dual-Rear Cameras Samsung (13MP + 13MP), 13MP Samsung Selfie Cam, Front-facing Fingerprint Reader, Full UK Network Support, Dual-band WiFi, 3780mAh Battery, 175 grams. The UMiDigi Crystal comes with an impressive screen-to-body ratio of 88%. It features all the modern features we expect from a smartphone including a Full HD Sharp display, Gorilla Glass 4, Dual rear cameras, 4GB’s of RAM and 64GB’s of storage. It’s also packing Android 7.0 and has a rear facing fingerprint reader. It might not have the fastest processor or the best gaming performance but it doesn’t need to. Because the UMiDigi Crystal is a budget device and costs a 5th of what you’d pay for a flagship bezel-less option. The UMiDigi Crystal really shows that you can have your cake and eat it. Tech Specs: 5.5 inch Sharp IPS 1920×1080, Gorilla Glass 4, 294 PPI, Octo-Core 1.5GHz CPU, 4GB RAM, 64GB Storage (expandable 256GB), Android 7, Rear-facing Fingerprint Reader, Full UK Network Support, 3000mAh Battery, 180 grams. See the latest news and updates on the UMiDigi Crystal Bezel-less phone. UMiDigi have completely overhauled the Z1 Pro and created the S2 Pro. It uses the same lightweight metal unibody design, but swaps out the underperforming cameras for a pair of Sony IMX (tried & tested) rear lens. It’s not skimped on the hardware either upping the onboard storage to 128GB while keeping the enormous 6GB’s of RAM. At 8.8mm it not competing against the Z1 Pro in terms of slimline looks but it ain’t the fattest kid in the class either. Where the S2 Pro really shines is with its full HD+ 18:9 Sharp manufactured display. It’s not AMOLED or OLED so don’t expect the black levels of the Z1 Pro, but that doesn’t matter as it’s a beauty… fitting into your hands easily while still measuring an incredible 6 inches across! I haven’t even got to the best bit yet… UMiDigi have crammed a 5100mAh battery into the S2 Pro meaning you’ll easily be into your second day of usage before having to charge it. There’s also a UMiDigi S2 (non-pro) model which uses a 1440×720 resolution panel and drops the specs down slightly. If crystal clear pixels isn’t high up on your wish-list then the S2 is worth checking out as well. Tech Specs: 6 inch 18:9 Sharp IPS 2160×1080, 89% Screen-to-body-ratio, Gorilla Glass 4, 294 PPI, Helio P25 2.6GHz CPU, 6GB RAM, 128GB Storage (expandable 256GB), Android 7, Rear-facing Fingerprint Reader, Full UK Network Support, 5100mAh Battery, 186 grams. The Z1 Pro is the latest release by UMiDigi and manages to pack a whopping 4000mAh battery into a 6.95mm aluminium unibody all while only weighing in at 148 grams. While it isn’t a photography expert, nor does it have a flagship CPU (opting for power efficient Helio P20) it does come with a fantastic display. The 5.5″ full-HD screen (1080×1920 resolution) is made by Sharp and features AMOLED technology giving excellent black and contrast. 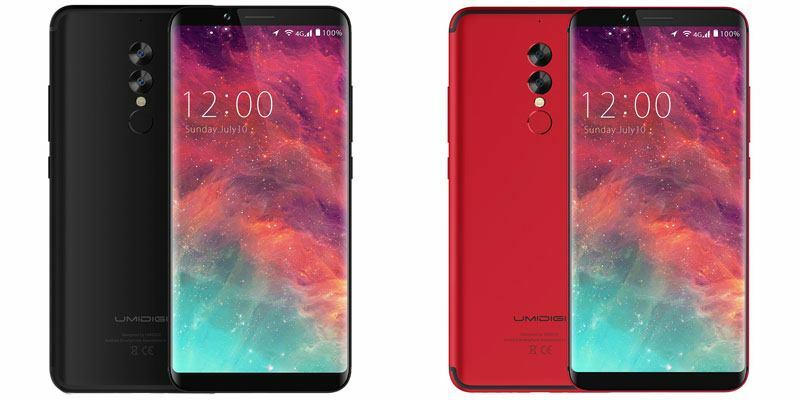 While other phones are getting bigger and heavier, UMiDigi has bucked the trend by creating a battery-focussed light-weight design-first smartphone. The UMiDigi Z1 Pro! Tech Specs: 5.5″ AMOLED 1080×1920, Gorilla Glass 4, 401 PPI, 8-Core Helio P20 CPU, 6GB RAM, 64GB Storage (expandable 256GB), Android 7, Dual-Rear Cameras (13MP + 5MP), Front-facing Fingerprint Reader, Full UK Network Support, Dual-band WiFi, 4000mAh Battery, 148 grams. If Matte Black and Passion Red aren’t your thing then you’ll be leaning more toward the Z1 rather than the Z1 Pro. 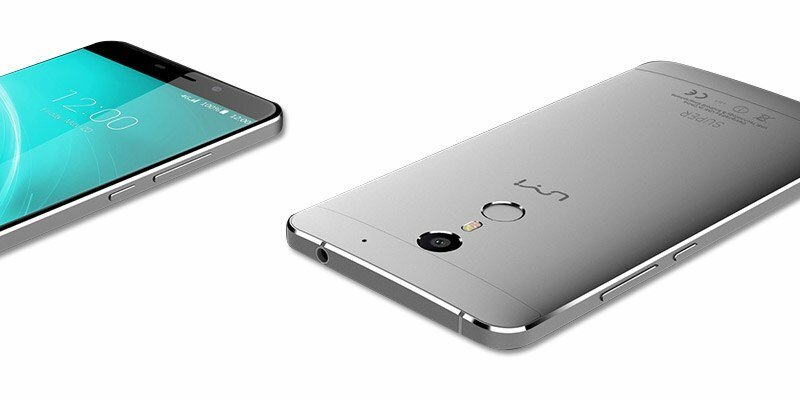 It comes in a little heavier and a little thicker but in terms of hardware, the two phones are identical. What you don’t get on the Z1 is the AMOLED Screen and for a lot of people, this won’t matter. It’s still a full-HD SHARP IZGO display that pumps out 1080×1920 pixels with a PPI of 401. What you do get is the same mid-high-end setup. An 8-Core MediaTek CPU (Helio P20), a whopping 6GB of RAM and huge 4000mAh battery. Whilst it isn’t packing an ‘X’ range CPU like the UMiDigi Z, the Helio P20 combined with the Mali-T880 graphics will be enough for all but the most power hungry users. My advice – If you’re thinking about getting the UMiDigi Z1, pay a little more for the Z1 Pro. It’s totally worth it. Tech Specs: 5.5″ SHARP IZGO 1080×1920, Gorilla Glass 4, 401 PPI, 8-Core Helio P20 CPU, 6GB RAM, 64GB Storage (expandable 256GB), Android 7, Dual-Rear Cameras (13MP + 5MP), Front-facing Fingerprint Reader, Full UK Network Support, Dual-band WiFi, 4000mAh Battery, 175 grams. See the best deals below. You might be asking why the UMiDigi C Note 2 didn’t make it into this list? Well, it’s simply down to build materials and cost. The C Note uses an aluminium unibody design that looks and feel more premium compared to the aluminium coating over polycarbonate used on the C Note 2. The C Note is also packing a full-HD SHARP screen, plenty of RAM and the option to boost the storage up to 256GB via a Micro-SD card. It ticks a lot of boxes including a reliable front-facing fingerprint reader, big battery and relatively slim at just over 8mm. It also comes with Android 7, full UK network support and offers great value at a low price point. The Note C is the perfect Android phone for those who want a great display, premium build, excellent battery life and light performance. Tech Specs: 5.5″ IPS 1080×1920, 401 PPI, 148 grams, MT6737T Quad-Core CPU, 3GB RAM, 32GB Storage (expandable 256GB), Android 7, Samsung Cameras (13MP + 5MP), Front-facing Fingerprint Reader, Full UK Network Support, 3800mAh Battery, 172 grams. You can still pick up some of these smartphones online. You might not be getting the latest generation hardware or Android version, but you’ll be getting yourself a bargain. You might not be getting the latest hardware and performance, but you are getting a sleek lightweight 5″ phone that has a crisp screen and is perfect for most light Android users. Even the camera quality of the UMiDigi G outperforms its super budget price class. During our full hands-on UMiDigi G review, I was pleasantly surprised at how far the super-budget bracket can now stretch. Check it out below or see the latest prices. Tech Specs: 5″ IPS 720×1280, Gorilla Glass 4, 294 PPI, Quad-Core 1.3GHz CPU, 2GB RAM, 16GB Storage (expandable 256GB), Android 7, Front-facing Fingerprint Reader, Full UK Network Support, 2000mAh Battery, 135 grams. The UMi Diamond X is the older brother of the UMiDigi G. Whilst one brother (the G) went for a minimalist iPhone-esque design the Diamond X has a bit more flair and follows in the Samsung Galaxy’s footsteps. In terms of hardware, the phones are nearly identical, but the Diamond X wins thanks to its premium build quality and bigger battery. The metal frame and reassuring click of the side buttons gives the feel of a much more expensive device. What it’s missing though, which the G is not, is a fingerprint reader and the latest Android OS 7. If you’re looking for a budget phone with budget specs, that looks the part? Then the UMi Diamond X is for you and can be found for a fantastic price online. Tech Specs: 5″ IPS 720×1280, 294 PPI, Quad-Core 1.3GHz CPU, 2GB RAM, 16GB Storage (expandable 128GB), Android 6, Full UK Network Support, 2650mAh Battery, 169 grams. 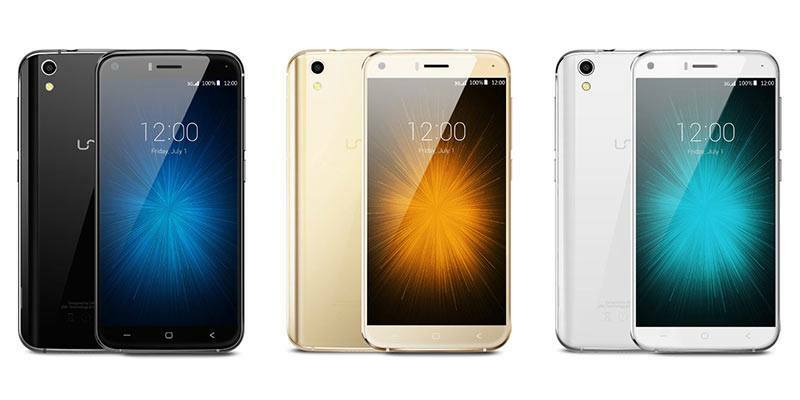 The latest flagship to come out of the UMi camp is the UMi Plus. 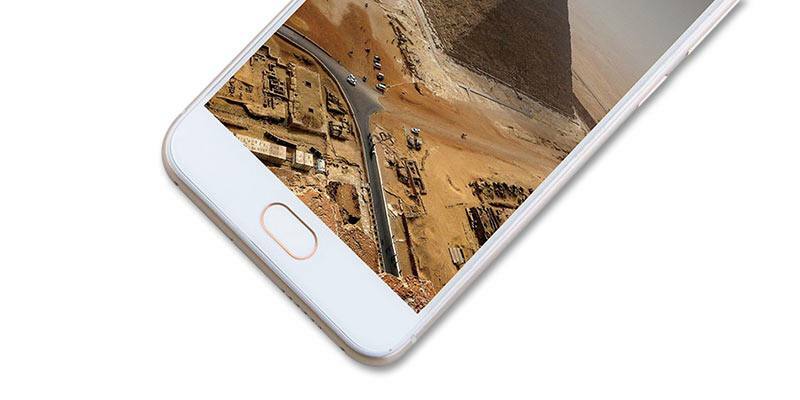 Internally it has very similar hardware to the UMi Touch but comes with an improved design, better build-quality and alloy unibody frame. It drops the brand ‘Gorilla Glass 3’ for its screen, instead opting for the less well-known NEG T2X-1 toughened glass. Will this be as resistant to drops & scratches? I’m not sure. 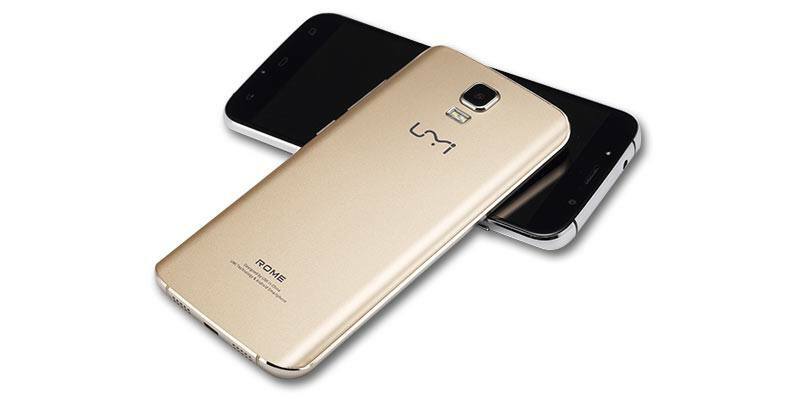 Where the UMi Plus really shines is in that UMi has promised an Android 7.0 Nougat upgrade to the in December 2016. If you’re looking for a smartphone that is a little less slab-like than the fantastic UMi Super then this is another great option and you won’t be left with an outdated version of Android. Tech Specs: FHD 1080×1920, 401 PPI, 2.5D, 185 grams, 8-Core Helio P10 CPU, Samsung 4GB RAM, Samsung 32GB Storage (expandable 264GB), Android 6.0 (upgrade to 7.0), 13MP Samsung Camera, Fingerprint scanner, Full UK Network Support, Dual-band WiFi. I’m was and still am a big fan of the UMi Super smartphone. It manages to pack in almost everything on my smartphone wish-list into a sleek all-metal unibody design. This phone is a beast, literally, weighing in at nearly 190 grams this heavyweight feels more indestructible than featherweight. Don’t be put off by the little extra-weight though as the UMi Super packs in a very impressive 4000mAh Sony battery which will keep you in power for a full 2 days. Top this off is plenty of RAM, good gaming performance and 32GB as standard. 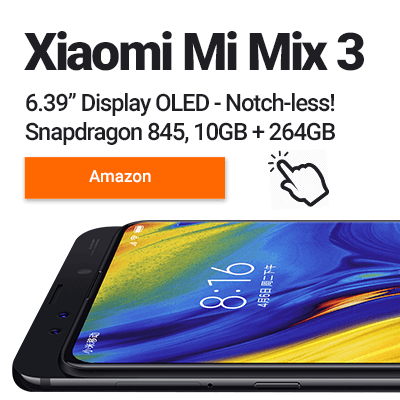 Are you starting to see why the UMi Super seems like such a good deal? If you haven’t already then check out my full review of the UMi Super here – ‘The UMi Super is Awesome’. Tech Specs: SHARP 5.5″ LTPS Screen, 1080×1920, 401 PPI, 2.5D, Gorilla Glass 3, 185 grams, 8-Cores (2GHz), 4GB RAM, 32GB Storage (expandable 264GB), Android 6.0, Notification LED Halo, Fingerprint scanner, Full UK Network Support. The UMI London, is UMi’s budget 3G offering that’s focussing on being super durable (guaranteed drop-proof to 1.5 metres) but also stylish. Most ‘tough’ phones look like they belong on a building site so the London is refreshing if a little under spec’d. You won’t find any high-end features and the what you do get is a little below the competition. If you take care of your phone and don’t need the extra protection then a similarly priced Cubot phone beats the London hands down in terms of hardware. On the other hand, if you’re looking for a basic but stylish smartphone that looks the part and can survive a drop or two then the London could be a good option. The London takes its design queues from it’s older & more capable big brother the UMi Rome (see below). It’s been stripped back in terms of hardware but still carries the stylish design. Tech Specs: SHARP IPS 5″ Screen, 1280×720, 294 PPI, 2.5D, DG Twin-Shield Technology, 160 grams, 4-Cores (1.3GHz), 1GB RAM, 8GB Storage (expandable 32GB), Android 6.0, Full UK Network Support. 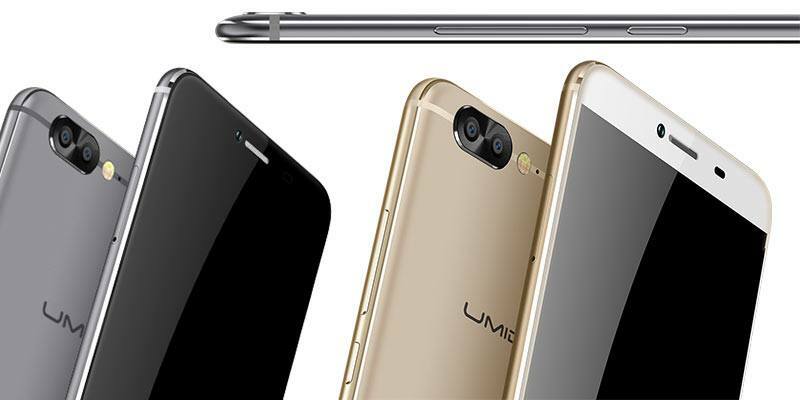 Although the UMi Rome isn’t one of the latest UMi smartphones, it still has bags of charm and a sleek curved design that gives it the top spot for the most stylish UMi smartphone. If I’m being completely honest with you, I don’t advise that you go out and grab yourself an UMi Rome. Nearly a year old now, there are better choices on the market for the same price with an improved feature set such as USB-C, Fingerprint scanners & Android 6.0+. Let’s hope that UMi jump on the bezel-less bandwagon soon so I can award the most stylish UMi phone award to a newer smartphone. Tech Specs: 5.5″ Screen, 1280×720, 267 PPI, 2.5D, 181 grams, 8-Cores (1.3GHz), 3GB RAM, 16GB Storage (expandable 64GB), Android 5.1, Dual-band WiFi, Full UK Network Support. Should you choose UMiDigi for your next smartphone? There are Pro’s & Con’s to consider when choosing a smaller mobile manufacturer like UMiDigi. Luckily, with a little bit of research and some common sense, you can overcome most of the Con’s and enjoy the benefits of an import smartphone. Here are the Pro’s & Con’s for buying an UMiDigi Smartphone and you can scroll down for my ‘Smartphone Buying Tips’ below. UMiDigi phones offer fantastic specifications at low prices. UMiDigi have a strong community behind them and listen to their customers. UMiDigi phones use quality materials and have excellent build quality. 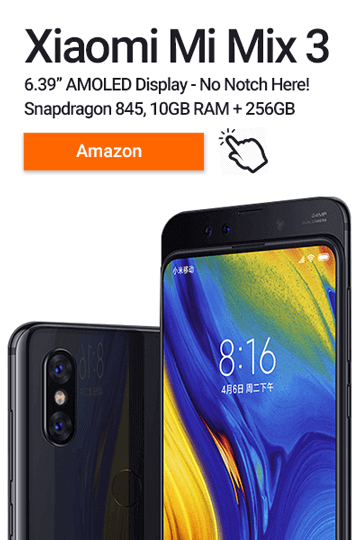 UMiDigi stock their phones directly in Amazon stores meaning you can benefit from fast delivery and an excellent returns policy. Accessories, Phone Covers & Spare batteries are harder to find. If you import your smartphone from overseas, claiming warranty can be more difficult. You won’t get as many security and Android updates as you will from larger companies like Samsung, OnePlus, LG & Huawei. Are UMiDigi smartphones good? and can you trust UMiDigi? My experiences with UMiDigi smartphones has been very positive. You can see all of our UMiDigi Smartphone reviews here: UMiDigi Smartphone Reviews. For a small company, UMiDigi haven’t been afraid to show innovation. For examples: the UMiDigi Z1 was the slimmest big battery smartphone available in 2017. Buy your UMiDigi smartphone locally for the easiest warranty returns. If importing your UMiDigi Smartphones, by from within your economic area as these are usually tariff & duty free. Example: If you live in the EU and you purchase an item from within the EU you aren’t subject to import duty. Buy from a reputable source that has it’s customer returns policy listed clearly on their website. Make sure that your cellular network supports the same frequencies as the phone supports. If you’re in the UK – check out my ‘Will a Chinese smartphone work in the UK article‘.